Just ten years ago, most small business owners were unfamiliar with the term “alternative lending”. As the banking industry began to rebuild from the financial crisis of 2008, traditional institutions became more and more guarded when it came to lending money. For small businesses, securing financing became next to impossible. In response to this need, alternative lending became a major force over the last few years and is now a very important part of the business financing industry. But what is alternative lending? Alternative lending is a broad term that describes new small business lending options available outside of traditional banks. Alternative lending provides small businesses with access to a variety of business financing options, from lines of credit and short-term loans to merchant cash advances and invoice factoring. Without alternative lenders, fewer entrepreneurs would be able to secure the capital necessary to start and grow their business. Many small businesses would also be struggling to hire new employees, increase inventory and purchase the equipment necessary to expand. When banks began tightening their credit, there were two types of entrepreneurs that alternative lenders helped the most: the previously bankable and the previously unqualified business owners. When banks raised their criteria, business owners who qualified before could no longer secure the financing they needed. Other business owners were never able to qualify with a bank, due to a poor credit score, past bankruptcy issues, insufficient collateral, limited time in business, etc. Speed and Convenience– Applying for a traditional bank loan typically involves a long, complicated process with extensive documentation requirements. A small business with immediate cash needs could wait weeks or even months to hear whether they have been denied or approved. Alternative lenders, on the other hand, have streamlined the application, decision, and funds-disbursal processes. Small businesses can complete an application in a matter of minutes. Knowing that time is a small business owner’s most precious resource, alternative lenders can provide the capital they need within just a few days. Amount of Financing– Small business owners also appreciate the funding options alternative lenders offer because they better suit their financing needs. Most small business owners do not require a term loan to make large purchases. Instead, they need relatively small amounts of cash to manage their day-to-day operating costs and short-term cash flow emergencies. Alternative lenders are well positioned to meet this need, offering business funding options that tend to be smaller in size and shorter in duration than traditional financing options. Wider Range of Factors– Many banks focus solely on the borrower’s credit history to determine loan worthiness. In contrast, alternative lenders use a wide-angle lens when considering a business with whom they might invest; this allows them to thoroughly examine the overall health of the business. Each alternative lending option will have its own unique requirements, rates and terms. Consider invoice factoring, for example. A factoring company considers both the business owner’s credit score and the creditworthiness of the business’ customers. For many small businesses, the cash solutions alternative lenders offer are simply a better option for the business’ long-term financial health. Invoice factoring, for example, provides small businesses the ideal solution. Essentially, invoice factoring allows businesses to use their accounts receivable to generate cash on hand. When a business decides to partner with a factoring company, the business sells its outstanding invoices to that factoring company at a discount. The factoring company then quickly advances the working capital needed against the business’ unpaid accounts receivable. Thus, the business is provided with money it has already earned and is waiting to be paid. 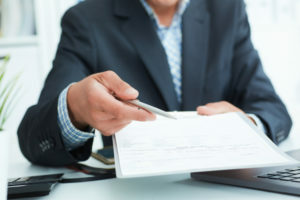 Because factoring invoices allows the business to avoid unnecessary debt, many small businesses that could secure traditional lending turn to a factoring company instead. In addition, the business not only secures capital quickly to boost cash-flow but is also offered assistance with credit and collections. Security Business Capital has built an experienced and dedicated team of individuals with years of experience in providing flexible cash-flow solutions that help businesses grow. Small businesses, startups, businesses in a turnaround phase and businesses growing rapidly are just a few of the business types that successfully use SBC’s invoice factoring services. If your business is seeking alternative financing solutions to meet expenses or fund growth, Security Business Capital offers a fast, simple and hassle-free set up process. To learn more about how our invoice factoring services work, get in touch with us today for a free quote and/or consultation.